Tabriz rugs are known for their outstanding quality and durability and also for featuring one of the most diverse displays of designs on any type of rug. The designs are limitless – from figural and medallion to the Herati/Mahi designs and even 3-dimensional rugs. 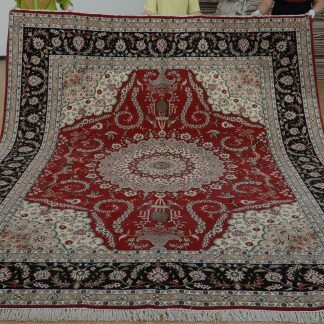 These rugs are hand knotted and truly demonstrate the exceptional artistic skills of the weavers in this region. 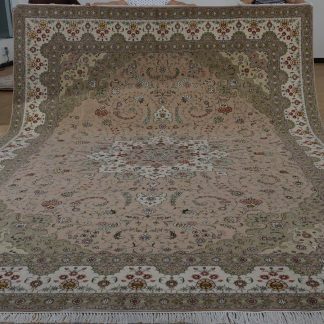 Designs of antique Persian Tabriz rugs feature medallions, flowers, gardens and hunting scenes, along with pictorial rugs featuring fascinating curvilinear designs. 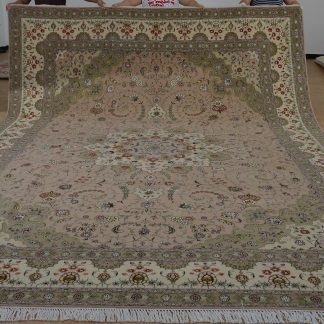 Many Tabriz rugs are woven in the Shah Abbasi style or the Islimi style or a combination of both. These rugs feature a medallion in the center with the corners filled with quarters of medallion. 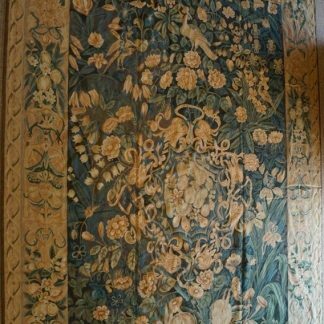 You can also find rugs with simpler geometric patterns or predominantly floral motifs with palmettos, assorted flowers, vases and hunting scenes along the edges. Within such overwhelming diversity, some patterns are still rare and can only be found in exclusive private collections or as family possessions. The colors that can be seen on these rugs are just as diverse as the patterns. One of the more remarkable features of Tabriz rugs is the use of a sophisticated palette of copper tones, ivory, burgundy and terracotta, with varying shades of baby blue and navy blue and subtle touches of gold, green, tan and salmon. 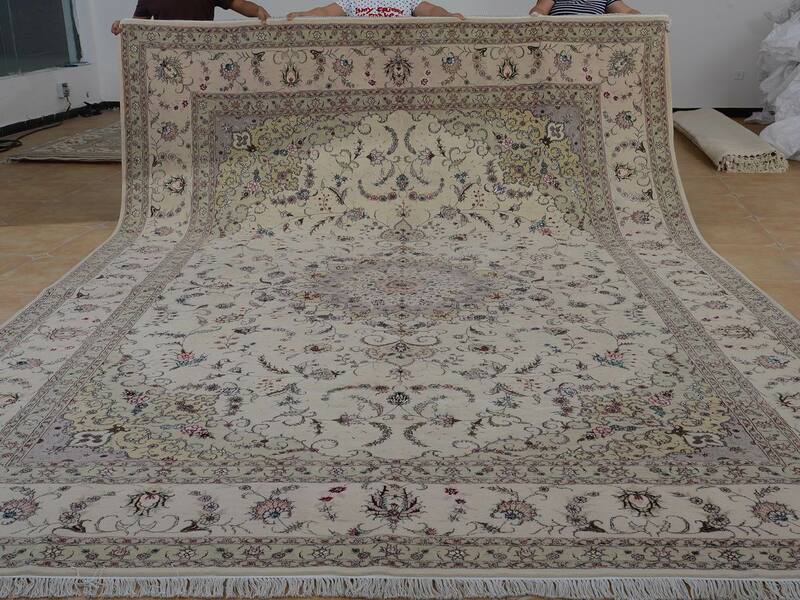 Tabriz rugs have a unique weave consisting of double wefts usually made of cotton or wool together with cotton warps. Some craftsmen use silk or a combination of silk and wool, with Kurk wool and silk blended together for the pile. 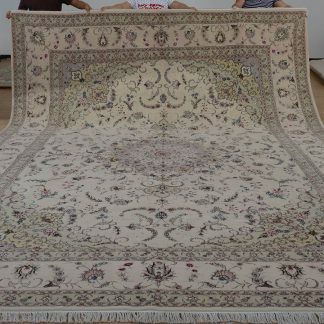 Some of extremely luxurious, high end antique Tabriz rugs use silk as an essential part for both the foundation and the pile, with gold threads interwoven in the base. The knots are a combination of Persian and Turkish knots and a tightly woven doubled foundation. In general the knots are fairly dense and can range anywhere between 120-850 knots per square inch. The higher quality rugs have a short trimmed nap which is slightly hard to the touch, whereas the average rugs have longer naps. 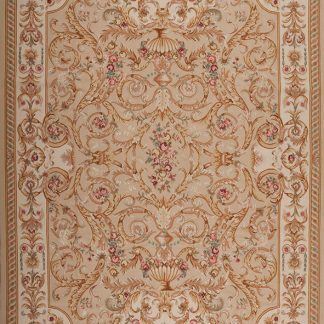 A Tabriz rug can instantly add a touch of style and class to any room. 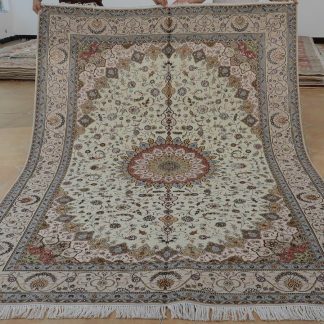 What’s more, no matter how much you may pay for your rug, you know it is going to be much cheaper than some of the pieces that have auctioned for well over million dollars and now grace the rooms of exclusive private collectors.